Elaine Mummery has become an acne specialist through her own suffering which began at the age of 13 and she has explored every available avenue to getting a clear and healthy complexion. Spots don’t just happen to teenagers, they can also be a problem throughout life, particularly for women during menopause. Her excellent, clear, book offers real practical solutions and is sourced from doctors all around the world. She is adamant that you don’t need to invest in expensive creams and lotions to cure your skin, but you do need information to start tackling acne and spots, whether it’s a lifelong problem or an occasional flare up. 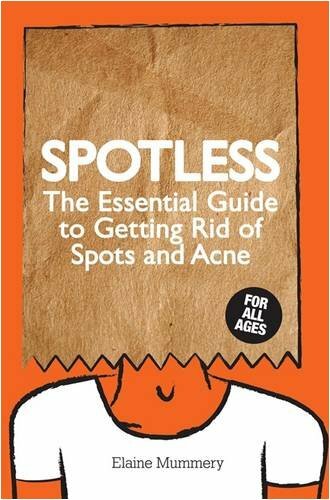 An ideal present for anyone who wants to see visibly clearer skin within seven days, so head to your bookstore – real or virtual – and buy a copy of Spotless for just £10.